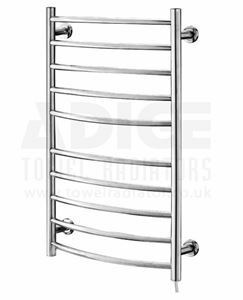 530mm wide and 870mm high stainless steel curved electric towel rail. 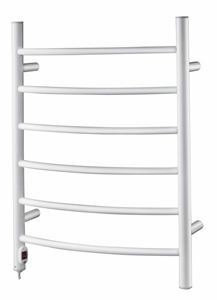 530mm wide and 870mm high stainless steel curved white painted electric towel rail with 80 Watt - 273 BTU/h @ Delta 60. 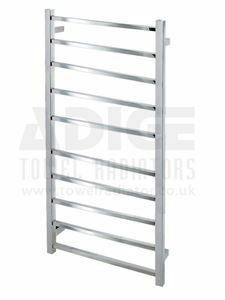 530mm wide and 870mm high stainless steel flat electric towel rail. 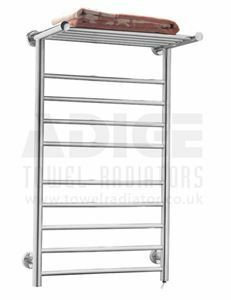 530mm wide and 870mm high square Tubed stainless steel ladder style electric towel rail - 100 Watt. 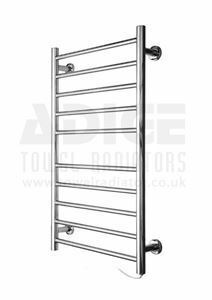 530mm wide and 900mm high stainless steel flat electric Towel Rail. 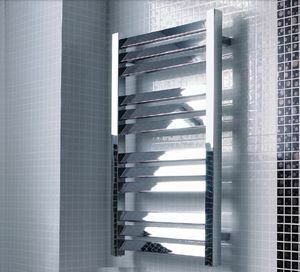 500mm wide and 900mm high chrome curved tube on tube designer towel radiator with 312 Watt - 1065 BTU/h @ Delta 50. 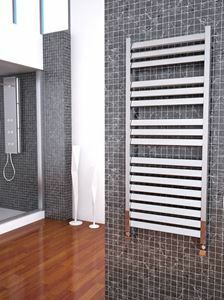 500mm wide and 900mm high designer towel radiator with 291 Watt - 994 BTU/h @ Delta 50.